Can I copy my daily food diary for my dietician? My dietician wants my daily food diary - is there a way to copy and paste then print out? One way to do it, would be to take a screen shot of the diary screen to show your dietitian. Then you can paste the screen shot into a document to print. You can get a copy of your food intake. Using the web version of Cronometer, go the the Profile tab and select the gear icon in the under Account Information. Select Export Data. Choose the date range you would like to see, then select Export Servings. This will export the foods you have entered in .csv format along with the serving sizes, and nutrient values for each food. 5) Select Generate Report, From there you will have the option to print your report. 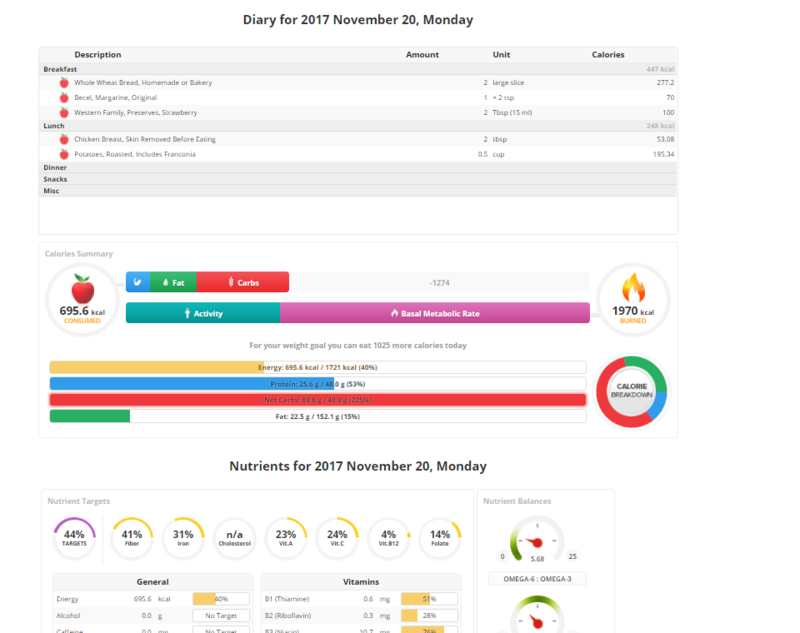 And don't forget to tell your Dietician about our Professional version, which would let them access your diary and reports right from their desktop, at any time! Thank you for this information, especially the roadmap for generating a full report! I've just upgraded to Gold, appreciate the info. And if your dietitian has any questions about how to use Cronometer in a professional context, let me know! I'm happy to chat, dietitian to dietitian.